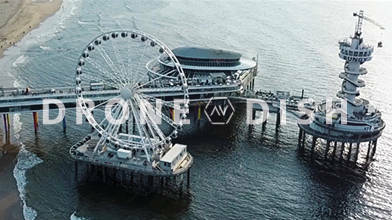 Description: On this episode of “The Drone Dish,” we’re joined by one of the youngest guests we’ve had on the show: 17-year-old Zilver Schmitz . Zilver started filmmaking at the age of 12, and his skills have paid off in the form of a Drone Video Awards nomination for his film MOMENTS OF MADEIRA. With stunning footage taken in the Madeira region of Portugal, Schmitz’s video was a nominee in the "People’s Choice" category in the 2nd Annual AirVuz Drone Video Awards. Schmitz also had his reel selected as one of five nominees in the "Reel" category. Watch the episode to find out what the future has in store for this young Dutch drone pilot, who has already accomplished quite a bit in the industry.